Lakes and reservoirs present contrasting differences regarding origin, age and trophic state that may influence their biological communities. In the face of the inevitably rising number of reservoirs worldwide, our objective was to investigate the differences in zooplankton community structure and diversity patterns from 98 tropical shallow lakes and reservoirs (northeast Brazil). We tested the hypothesis that reservoirs have less diverse communities, which could be associated with ecosystem age or high productivity (a typical local pattern). 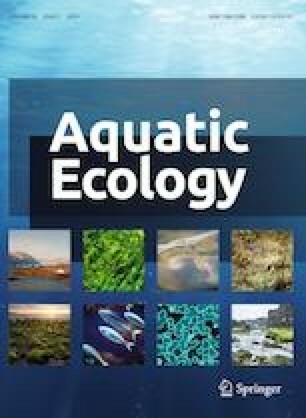 The results show that most reservoirs are eutrophic ecosystems that hold distinct zooplankton communities in comparison with lakes. Despite their higher productivity, reservoirs played an essential role in subsidizing zooplankton diversity as they had higher gamma diversity because of the number of exclusive species, especially for the Rotifera group. The zooplankton density and biomass were also higher in the reservoirs, but this pattern was not associated with higher species dominance. Lakes also played a central role in zooplankton diversity, having a distinct species composition. Jointly, lakes and reservoirs help to maintain the zooplankton species pool at a regional level, suggesting the importance of complementarity in community composition between artificial and natural aquatic ecosystems on large-scale patterns of zooplankton biodiversity. The online version of this article ( https://doi.org/10.1007/s10452-019-09693-5) contains supplementary material, which is available to authorized users. This study was supported by grants provided by the Brazilian National Council for Scientific and Technological Development (CNPq—www.cnpq.br) through the Universal Grant (Process 477637/2011-6) to LSC. CRC is thankful to Coordination for the Improvement of Higher Education (CAPES—www.capes.gov.br) for the concession of a PhD scholarship. AC and AMA gratefully acknowledge continuous funding through Research Productivity Grants provided by CNPq (Processes 304621/2015-3 and 310033/2017-9). AMA is thankful for the support from the National Council for Scientific and Technological Development—CNPq through the Universal Grant (Proc. # 475537/2012-2). We are thankful to all staff members at the Limnology Laboratory at UFRN for helping us with fieldwork and laboratory analysis. We are also indebted to Gustavo Fonseca for reviewing an earlier version of the manuscript.